Over the past decade, the vast majority of consumers have come to rely on the internet as their go-to resource for health-related information. As the level of trust and comfort in using this tool has increased, the trend has permeated a wide range of medical fields — this includes even the most sensitive topics, such as fertility and reproductive health. However, just because people are now searching for fertility-related information and treatment options via the same methods they use to buy shoes and video games, that doesn’t mean medical marketers can replicate the approach of those selling Vans and XBox 360s. Let’s run through some of the unique considerations that must be taken into account when marketing a fertility practice, along with some tips and tricks to improve outcomes overall. In order to generate more conversions while simultaneously lowering costs, you must have a comprehensive understanding of a prospective patient’s mindset during each stage of the path to treatment. Even more importantly, there’s a huge amount of search traffic out there, and you need to know how to effectively reach and engage all of those patients throughout their entire journey. With patients who are still in the research phase, it may be too early on in the process to convert them into patients, but if you have the budget, it’s certainly not too early to start marketing to them. In general, it’s best to work in broader strokes at this stage in the game. If possible, you should allocate some budget to paid search and social ads that serve up top-of-the-funnel, informational content, such as downloadable resources or webinar invitations. While it may be too early to expect them to book an appointment, there's no reason you shouldn't start connecting with patients and building up the credibility and name recognition of your brand. If you don’t have the budget to invest in paid search ads that target users at the top of the funnel, search engine optimization (SEO) is a great way to build brand awareness and trust without breaking the bank. Build out keyword-rich landing pages for your website, blog regularly, add your listing info to Google My Business — not only will all this boost your organic visibility in search results, but it will also help increase your conversion rate a bit further down the funnel when those early-stage prospects become transactional. Reaching patients who are actively searching for fertility solutions requires a very specific approach to keyword targeting. In general, patients who have already spent a great deal of time conducting research online and have reached the “Therapies (Rx)” or “Resources” stage are the ones who are more likely to convert. 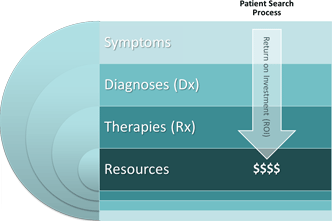 But how do you distinguish between the two in order to increase ROI and not turn off “Symptoms” and “Diagnosis” stage users who could become patient leads later on? Success in this regard is a question of effective keyword targeting — you need to craft your keyword strategy to focus on conversion-driven search terms. For example, a patient searching broad terms like “cancer and infertility,” “PCOS,” “Why can’t I get pregnant?” etc. can be presumed to be in the Symptoms stage of their patient journey, and therefore far less likely to convert; in other words, they’re simply gathering preliminary information. Conversely, a patient searching with keywords like “ivf clinic queens nyc,” “cost to freeze your eggs in nyc,” or “in vitro fertilization?” has likely reached the Resources stage, making them far more likely to click on an ad and book an actual appointment or consultation. As I already mentioned, fertility marketing requires a uniquely sensitive approach. You can spend all the money on digital advertising in the world, but unless you can connect with them on a personal level and secure their trust, you’re not going to see any meaningful results. Do everything you can to showcase the credibility of your brand — this means producing informative and engaging video content that showcases your physicians, staff, and facilities; hosting free online webinars to educate prospective patients; showcasing patient reviews and testimonials on your website and social media channels; and publishing information about the experience and success rates of your practice — just be aware of guidelines and regulations for posting such statistics as outlined by organizations like SART. With all the unique considerations involved with fertility practice marketing, success can be a difficult thing to come by. 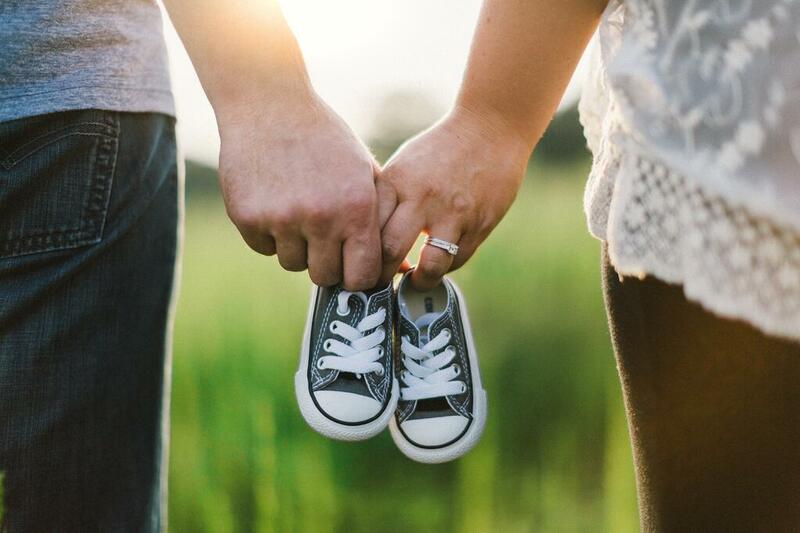 But with the proper approach to campaign structure, keyword targeting, and messaging, fertility clinics can capitalize on existing consumer trends to generate more patient leads, conversions, and ultimately, a healthier revenue stream.